The new home market represents an interesting opportunity for home buyers in Brentwood. 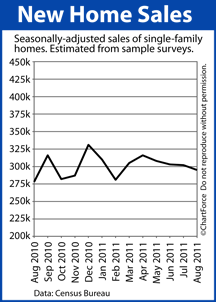 Builders are facing new competition from bank-owned homes and foreclosures, dragging builder confidence to all-time lows. Furthermore, builders have low expectations for the next 6 months.